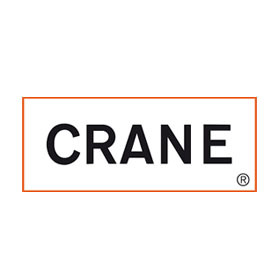 Crane – Messplay Machinery Co. In any fluid handling system, Crane valves are the controlling element: starting or stopping flow, regulating or throttling flow, preventing backflow. Crane valves are used in a variety of applications and the following descriptions will summarize their proper use. Gate valves serve as efficient stop valves with flow in either direction. They are commonly used where a minimum pressure drop is important. Throttling is not recommended, they function best fully open or fully closed. Globe valves are ideal for throttling service. Their flow characteristics permit accurate and repeatable flow control. However, caution must be exercised to avoid extremely close throttling when pressure drop exceeds 20%. Swing Check valves prevent reversal of flow through pipe lines. Most Crane swing check valves can be installed in horizontal or vertical upward flow piping. Tilting Disc Check valves are similar to swing check valves. In most installations, slamming is minimized upon reversal of flow so noise and vibration are reduced. High-Pressure Boiler Stop check valves are used in steam boiler outlet piping when two or more boilers are connected to a common header. They prevent steam backflow from the header to the boiler.